Poor installation technique or settling of the stone can result in an irregular and uneven surface known as lippage. Lippage is a condition where edges of the tiles or slabs are not at the same level with each other. 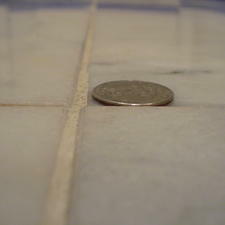 One way to determine this is by a thickness of dime when placing it to the edge of next tile and if the next tile is higher than the dime this can be considered as lippage. Before polishing a marble floor and for the best result any tile lippage should be removed and the surface made flat and delipped. The best way for removing lippage is grinding down a marble floor by aggressive lippage removal discs and planetary floor machine. We can grind and make delipping on many of such uneven surfaces to their original flatness and polish the surfaces to reveal their original luster and shine. 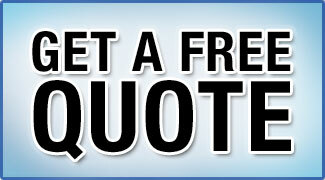 Please note: lippage removal should be specified prior a work, otherwise we’ll do restoration without lippage removal.